We know how hard it is to find good and caring doctors — so why should you choose us? 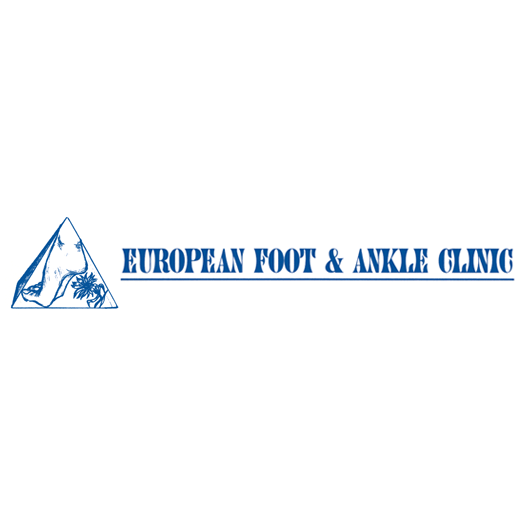 Since opening in 2000, European Foot and Ankle Clinic has grown very fast to multiple locations throughout Chicago area, providing the best podiatric care to patients. Ever since, we have consistently served and educated our patients, to put them on their feet in the shortest possible time, as well as delivered a warm and friendly office environment to serve their problems better. Our experienced and expert trained physicians are pioneers in minimal, non-invasive, no-visible-scar surgical techniques for correction of bunions, hammertoes, and other foot deformities. This technique utilizes 1-2mm incisions, similar to ones used in arthroscopic approach, which minimizes tissue injury, rehab time, post operative pain, and maximizes results by providing a surgical cut only to the area of need and no damage to the other structures (please go to our before and after gallery and our patients testimonials to read more). We also offer a full array of the most advanced podiatric services to help you maintain healthy feet including laser treatments for fungal toenails, warts, ingrown toenails, and corn and calluses. We treat arthritis and injuries like sprains, plantar fasciitis, tendinitis,and neuroma utilizing contemporary FDA approved techniques like plasma PRP injections, custom braces, biopincture therapy, physical therapy and more. We provide a variety of homeopathic treatments for muscular skeletal problems in form of injections, pills, creams, and gels as an alternative option to conventional steroidal injections, pills, and unnecessary surgeries. We use advanced and innovative European neurolitic dehydrated alcohol injections to shrink neuromas and provide long-term, non-surgical solutions wherever possible. The same injections also works for many types of neuritis such as burning pain in toes, heels, or around joints. We are trusted by hundreds of thousands of patients as foot and ankle specialists for over 17 years growing to multiple locations in Chicago. All of our physicians at European Foot and Ankle Clinic maintain the highest levels of accreditation and pursue ongoing education to stay abreast of the latest trends in podiatry. Our doctors as well as staff are fluent in several languages including English, Polish, Spanish, and Russian. Our professional staff and doctors are experienced both in providing the best available treatment of foot and ankle problems, as well as taking genuine concern of our patients problems and needs. That honest approach brought us trust and respect from our patients, let us grow fast, and provided convenience of multiple locations through the Chicago area. All of our staff is dedicated to your comfort and well being and will provide the most prompt attention when needed. Our goal is to help you to always maintain healthy feet and continue with your active and complete lifestyle!